Spring Has Almost Sprung and that spells bad news for anyone who suffers from hay fever as it means it’s ‘Sneezing Season’ again. Unable to get out and enjoy the beautiful Spring sun, seasonal allergy sufferers following the conventional path can only look forward to being housebound for even longer or taking medications with side effects that really knock them about! Hay fever results from exposure to pollens released from grasses and other plants, carried through the air, which cause inflammatory reactions on the mucous membranes and affect the immune system. With sneezing, itching, runny nose, coughing and congestion, hay fever (or seasonal allergic rhinitis) is enough to ruin anyone’s day. It can affect any of the mucous membranes of the eyes, nose, sinuses, throat and palate, or all of them at once. But it doesn’t have to be like this. 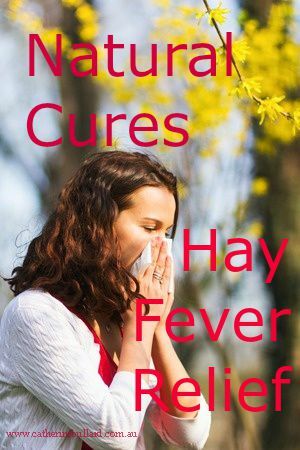 There are many natural remedies including herbs, vitamins, kitchen cures and my favourite, homeopathy, that can effectively knock the symptoms of hay fever on the head by providing natural antihistamines. 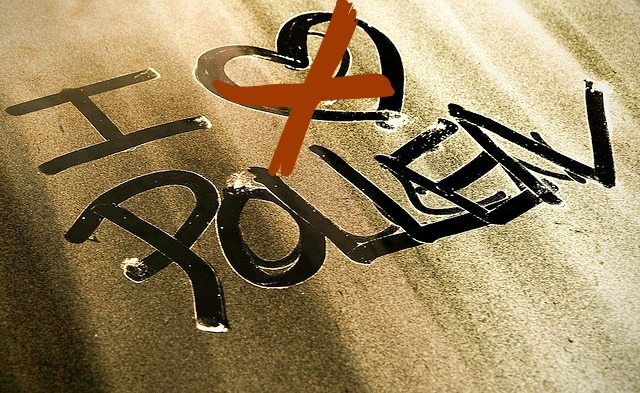 In addition to actual treatments some precautionary practices can minimize the effect of the allergen on your system. Gifting your liver a Spring clean can lessen the allergic effect. Here are tips to help you gently detox your liver without ‘doing a detox’. It’s important with any aggravation of the mucous membranes to reduce the amount of dairy food you eat as it increases the production of mucous and exacerbates congestion. Eat less milk, cheese, ice-cream, cream, yoghurt and butter during hay fever season to keep you better prepared. And watch for “milk solids” often added to processed foods. Refined starches also stimulate mucous production and limiting bread and other baked goods can reduce the severity of your symptoms. Increasing your intake of omega 3 fatty acids over the season can help decrease the incidence of hay fever as they help lower the amount of inflammatory chemicals produced when you are exposed to an allergen. While many alternative treatments, including nutrition and supplements, can alleviate hay fever by strengthening the immune system they don’t always give immediate relief in the moment when symptoms strike. Some can reduce symptoms when taken in mega dosage but often need to be taken in combination with others. Air filters can make a real difference by keeping the air inside your home pollen free especially when placed over windows and doors. Steaming is an age old practice for breaking up congestion. Add a few drops of eucalyptus essential oil to a bowl of steaming water and with a towel over your head breathe in the eucalyptus-rich vapour to loosen mucous and clear air passages. Tea tree is another suitable essential oil. Many herbs including chamomile, stinging nettle, ginger, and butterbur can block histamine and relieve symptoms, but often their effect is limited to just some of your symptoms or they can take time to have an effect. In someone already highly oversensitive to plant material herbs may not be a great choice, and may even exacerbate the symptoms. Stinging nettle is one herb commonly used for it’s antihistamine and anti-inflammatory effects. But when I take it internally it causes itching and swelling on my skin. The crude nature of herbs may actually be too harsh for these highly sensitive individuals. Homeopathy can be used for hay fever either preventatively or as a treatment. It has a great track record for the treatment of hay fever with symptoms being switched off almost immediately when the correctly matched remedy is used. I can personally vouch for this. In France the most commonly prescribed treatment for hay fever by medical doctors is a homeopathic remedy just because it can be so effective and fast. I’m going to introduce you to some of the more commonly used homeopathic remedies for symptomatic relief. These remedies activate the body’s own system of healing. They’re excellent for quickly relieving the symptoms of acute bouts of hay fever when they’re selected to closely match the individual symptoms being experienced. Use remedies in 6x, 6c, 30x or 30c potencies, taking one dose every few hours for up to 3 doses. With the right remedy symptoms should improve after the first or second dose. If symptoms haven’t improved after the third dose it means you’ve selected the wrong remedy, so go back and again match the remedy picture to your symptoms for a closer match. Pay particular attention to what makes your hayfever symptoms better or worse – these are important pointers to the right remedy. As always with Homeopathy the remedy picture must match your symptoms for it to work. 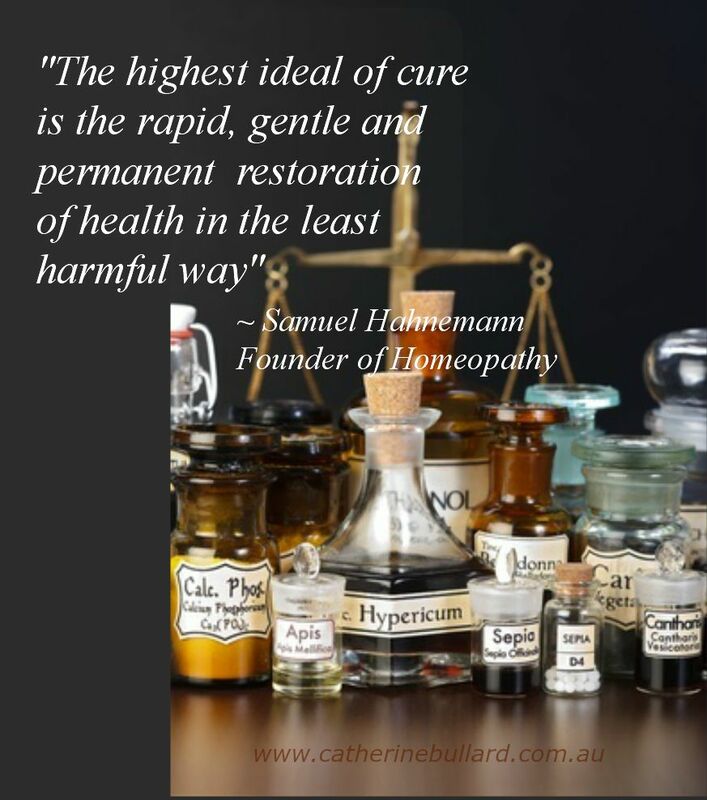 If none of these remedies match visit a homeopath who can select the right remedy for you from the hundreds of possibilities. Perhaps the most commonly used remedy for hay fever is Allium cepa (red onion). Use this when sneezing is prominent along with watery eyes that burn and smart. The tears here are non-irritating but the copious watery discharge from the nose is acrid and irritates the skin between the nose and upper lip which becomes red and sore. The nose feels blocked and the sense of smell is gone. The voice may become hoarse. When Allium cepa is called for the symptoms improve outside in the fresh air or in cool air. This remedy is very commonly used for hay fever with burning and itching in the throat, nose or eyes. The discharges burn and redden the skin. This person will feel cold and although they want to be rugged up their head clears in cool fresh air. They are sensitive to light. Violent sneezing is a symptom that may call for Nat mur, particularly when it is accompanied by itching and tingling inside the nose. There may be a watery or egg-white like nasal discharge, although not usually at the time of hayfever onset. These symptoms get worse after being out in the sun. Taste and smell are lost. Cold sores may occur at the same time. The person needing Nat mur may feel sad or sorry for themselves and want to be alone, and they feel better outside. Sore, smarting eyes that are light sensitive call for Nux vomica. The nose feels stuffed up making breathing difficult. There may be a streaming discharge through the day even though the nose feels stuffy. At night the nose dries up. This person feels irritable, even nasty, and chilly. Other people can really annoy them. They may have a headache with the stuffy nose which is made worse from stooping. Their symptoms are worse in dry air and better when the air is damp. These people have a tendency to over work, and may crave coffee to keep them going. Congestion is the hallmark of a Pulsatilla picture with thick discharges that are bland (non-irritating) and yellow or yellow green. While there is much nasal discharge in the morning the nose is dry at night. This person feels much better outside in the cold fresh air and considerably worse in a warm stuffy room. They also feel better when they keep moving about. They may be weepy, and children whiny or clingy. Eyes that water with red burning margins of the eyelids, and lots of watery nasal discharge indicate the need for Sabadilla. There is much sneezing which occurs in spasms, one sneeze after another, and is caused by a tickle in the nose. The sneezing causes the eyes to water. This person is very sensitive to the smell of flowers which may exacerbate the sneezing. The tickle in the throat may be relived by warm drinks. This person feels very chilly, and the symptoms are worse in the open air and better in a warm room. Extreme, even intolerable itching in the nose and throat calls for Wyethia. This is the remedy for severe itching of the upper palate, where the person tries to “scratch” it with their tongue. Often the throat feels swollen, dry or burning, causing a constant need to swallow to moisten it. These are just a few of the hundreds of homeopathic remedies used for treating hayfever. If you can’t match one to your symptoms consult a professional for the remedy you need. 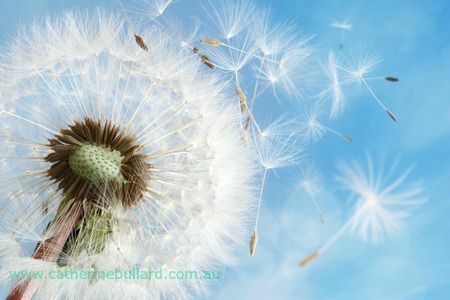 Homeopathic treatment is very effective for preventing, as well as treating, hay fever attacks but it must begin well before the hay fever season. If you’d like to diminish your hay fever in the future begin by selecting the remedy that matches your current symptoms most closely and take it whenever you have an acute attack this season. In about six months visit a professional homeopath who will treat you to improve your resistance to allergens and prevent, or reduce, further attacks in the future. I experienced terrible hay fever when I was younger with red, burning, itching, watery eyes. But I haven’t had any for many years after taking preventative homeopathy one winter years ago. If you’d like to learn more about using Homeopathy to treat your family’s acute and first aid illnesses why not join my HOMEOPATHY @ HOME Course designed especially for the home prescriber. This fun and information-packed course is totally empowering, and enables you to be ready with the right homeopathic treatment for you and your children need whenever you need relief from an acute illness. How do you manage your hay fever? What are your favourite natural remedies for hayfever? All information and opinions presented here are for information purposes only and are not intended as a substitute for professional advice offered during a consultation. Please consult with your health care provider before following any of the treatment suggested on this site, particularly if you have an ongoing health issue. © Catherine Bullard and Happy Holistic Health, 2012. Unauthorized use and/or duplication of this material without express and written permission from this blog’s author and/or owner is strictly prohibited. Excerpts and links may be used, provided that full and clear credit is given to Catherine Bullard and Happy Holistic Health with appropriate and specific direction to the original content. Join me on this journey of discovery towards a healthier, happier life. Enter your email address to follow this blog and receive notifications of new posts drop straight into your inbox. Join me on this blog on a journey of discovery towards a healthier, happier life.